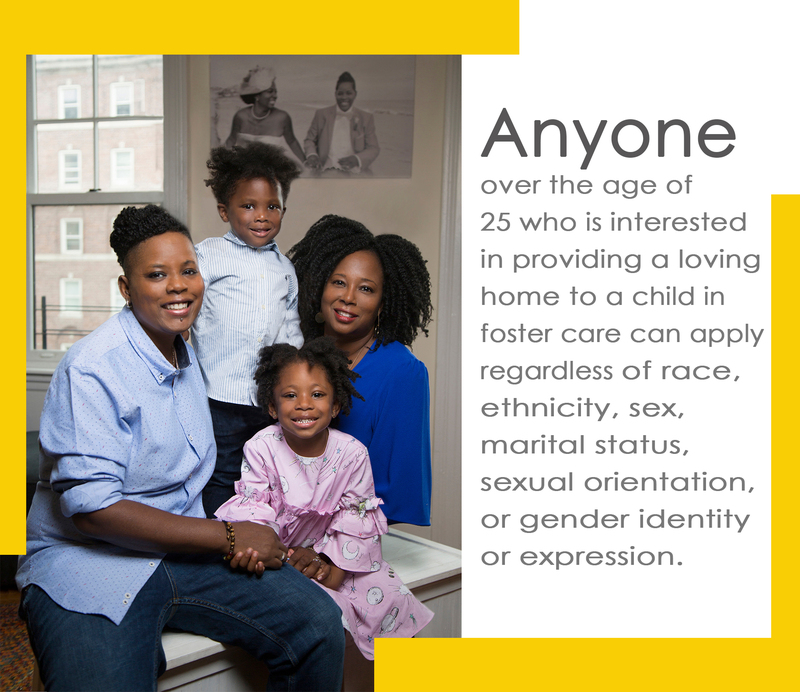 Who Can Foster a Child? • You must be at least 25 years of age. • You may be single or coupled. If coupled, living together for at least one year. • Your family must be stable and everyone must be interested in caring for a child. • All members of the household, as well as those caring for the child or children, must pass a criminal record clearance. • You must demonstrate financial stability, with income greater than your expenses. The health of your family members must allow for the care of normally active youngsters. • Your home must be suitably equipped, safe, clean and have sufficient space to accommodate additional children. * Safe and reliable transportation must be available. Automobile insurance must be current and kept up to date and all drivers must have valid California drivers’ licenses and clean driving records. • Complete the application packet, orientation, pre-certification training, and family assessment. • Agree to comply with all Title XXII, State, County, and agency regulations. We encourage you to fill out our Self-Assessment to learn more about the qualifications. Check out our step-by-step guide on how to become a resource parent to foster or adopt from foster care. Attend orientation for an overview of the approval process and hear from our extraordinary families. Contact us for more information regarding the requirements to foster or upcoming orientations.